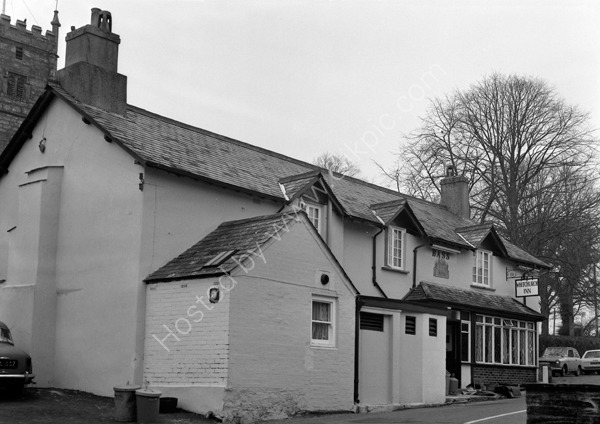 The Whitchurch Inn on Church Hill in Whitchurch, Tavistock, Devon PL19 9ED around 1974 with the church steeple in the background and cars in the car park. For commercial use of this photograph please visit www.alamy.com and search for AA2J93 but for a one off print, please see below. Location: The Whitchurch Inn, Church Hill, Whitchurch, Tavistock, Devon, PL19 9ED England.